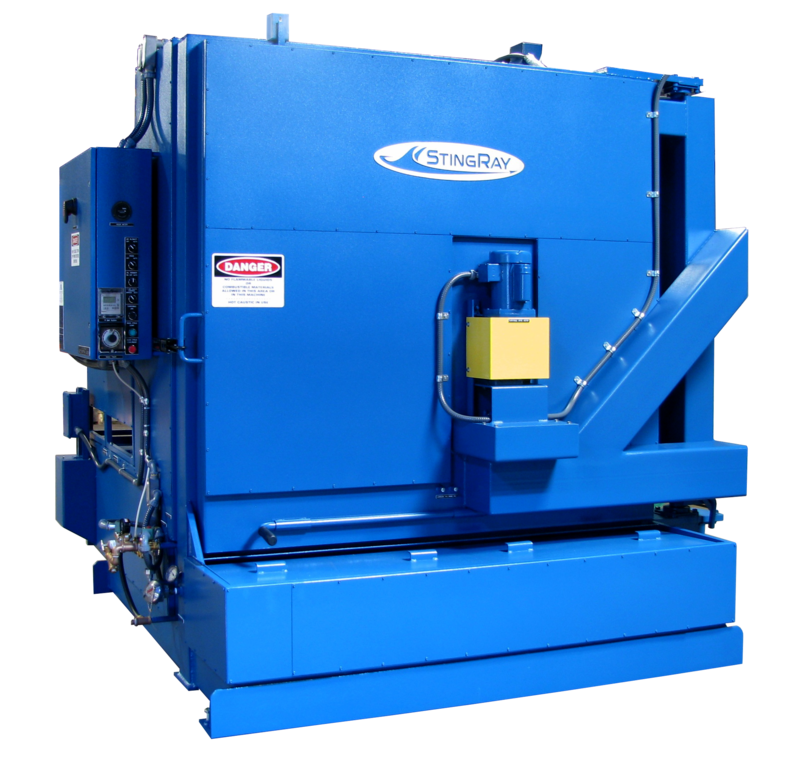 The StingRay Sludge Pump Cart is the ideal device for handling parts washer sludge for clean out of your industrial parts washer. Air operated 2" flap valve diaphragm pump won't clog. Flap valve diaphragm pumps are perfect to pump sludge, mud, slurry and other thick liquids without clogging and without priming. Includes 2 - 15' Cam lock hoses and cart with casters. quick latch hoses are chemical resistant high heat hoses for transferring parts washer cleaning solutions and are designed for suction without collapsing. Heavy duty chemical rated hoses resist heat and parts washer detergent. Pumps viscous materials, even heavy or solids-laden materials. The StingRay Diaphragm Pump moves everything from water to peanut butter. Handles many fluid transfer operations in the plant. 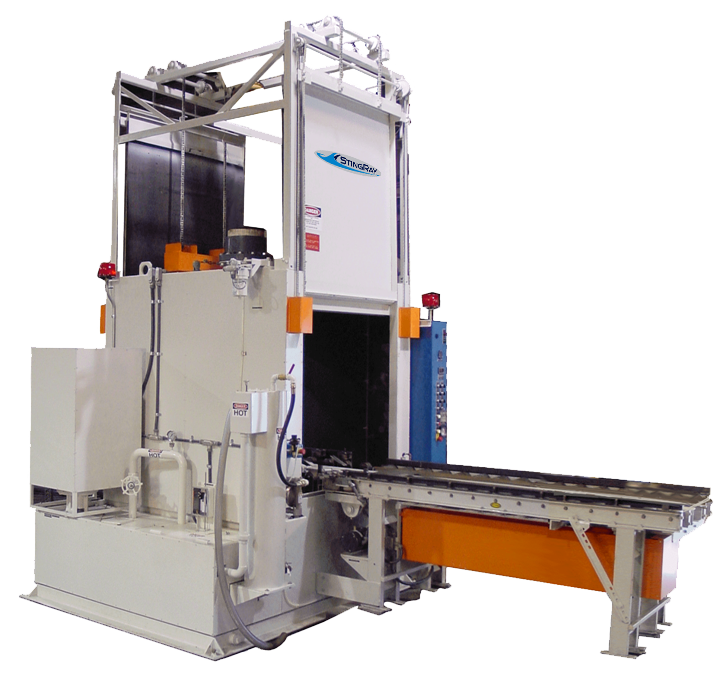 The StingRay sludge pump is capable of handling heavy grease loading in your parts washer. The pump can pass a 2" diameter solid without jamming or stalling. These pumps are ideally suited for pumping used parts washer solution. Won’t clog like a centrifugal type pump. Centrifugal pump Impellers have small openings that can clog easily. 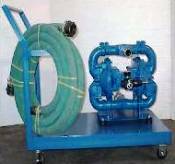 The diaphragm pump is 2 or 3 times better at suction than a centrifugal pump. Many people hope to find a less expensive option for pumping sludge and waste materials but StingRay has found every other pump to be lacking. StingRay uses flap valve pumps exclusively in our own shop for pumping parts washer wastewater.